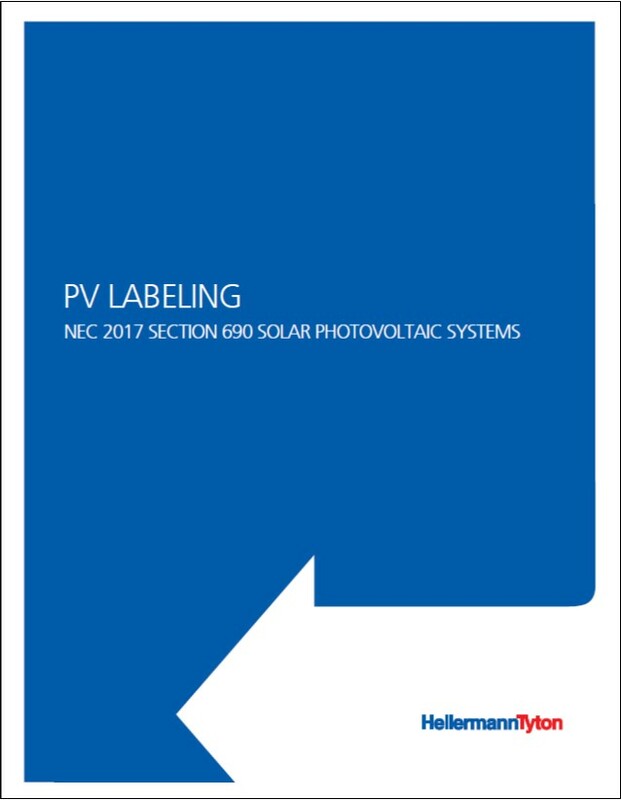 The NEC690 Building Inspector’s Guide is a set of reference materials developed for Building Inspectors and AHJ Officials as it relates to Article 690, of the National Electrical Code (NEC 2014) for Photovoltaic Warning Labels. 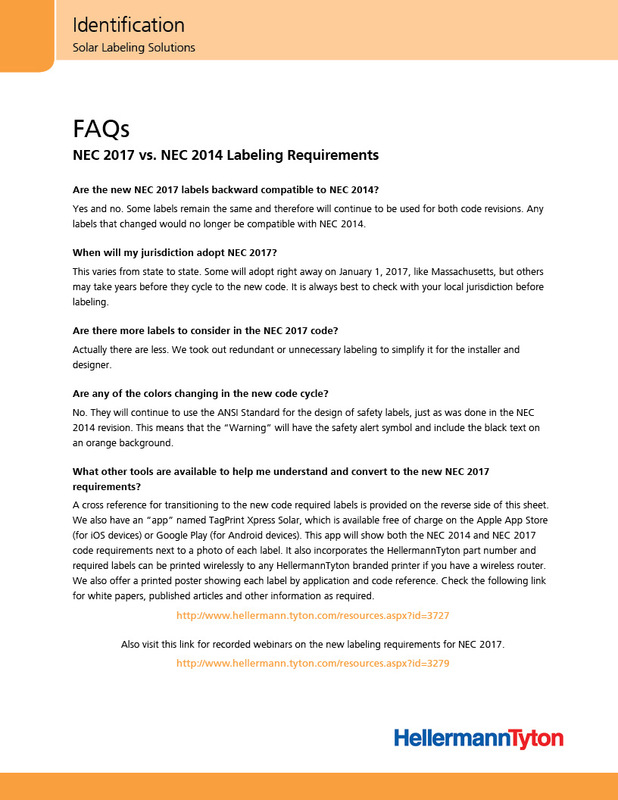 The Guide also covers ANSI Z535.4-2011, the standard for the development of Product Safety Signs and Labels, which provides guidelines for proper label design. 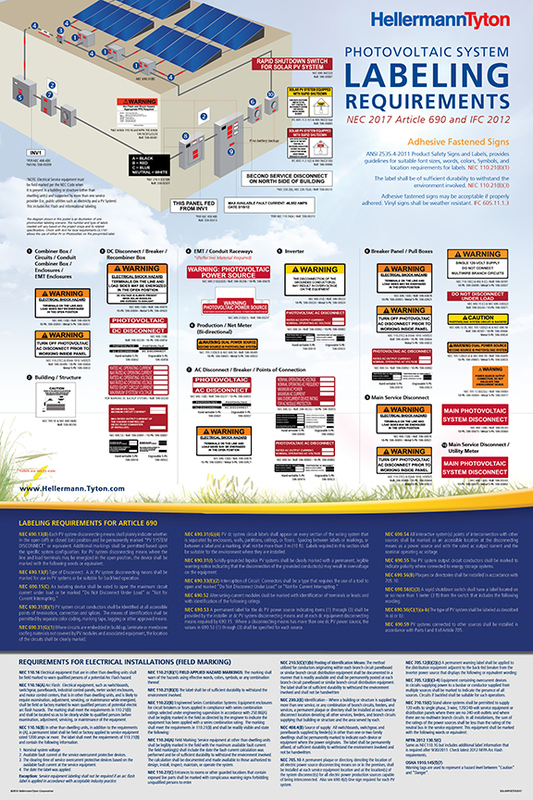 Additionally, references to Cal-Fire, the International Fire Code (IFC 2012) and Occupational Safety and Health Administration (OSHA) requirements are combined to achieve a fully documented resource for meeting codes and standards as related to identifying the solar installation. The materials found in this section may be used to establish recommended local requirements for Installers and Designers, and can serve to validate the use of high performance adhesive labels, where local permitting requirements are unclear.